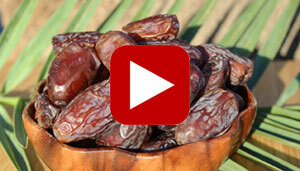 Want to learn how to make date sugar using a dehydrator not an oven? Well, it took us a few attempts to get it down, but now we know how to successfully make homemade date sugar without having to bake the dates first. There is a bit of a technique to it as dates by nature are rather moist and sticky. Thus, they are not easy to dehydrate first time around, but actually require a 2-step dehydration process. While it might take a little bit longer, the end result produces a fine powdery sugar that is very similar to the consistency of coconut sugar. 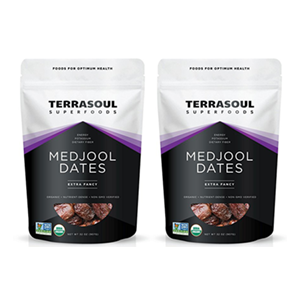 If you've ever tried to make your own date sugar via dehydration methods, you most likely have ended up with a clumpy outcome after grinding your dried date pieces. It is not as simple as it may seem. 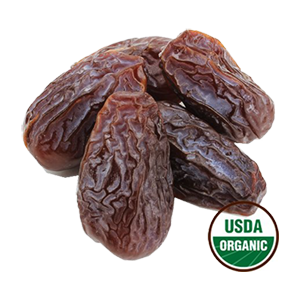 This is because it takes a LONG time for dates to thoroughly evaporate ALL moisture content. This means you'll have to run your dehydrator for a couple of days. The first round requires about 24 hours, the second about 8 hours. 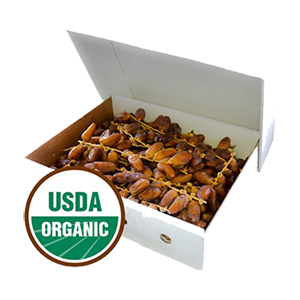 The final product is worth it however and about 28 ounces (or about 1 1/2 lbs) of dates will usually yield a little over 8 ounces of delicious tasting crystallized date sugar. 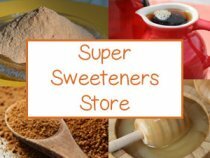 Here on this page we provide more details about the process, plus our recipe on how to make date sugar below. But first, why would you want to use date sugar? 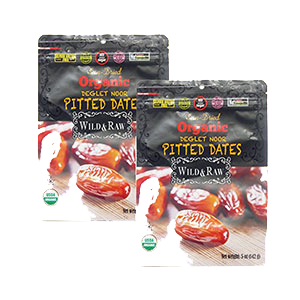 While date fruits are an excellent whole fiber sugar source, date sugar made from dried and granulated dates is starting to become a popular alternative for those attempting to avoid other types of processed sugars. 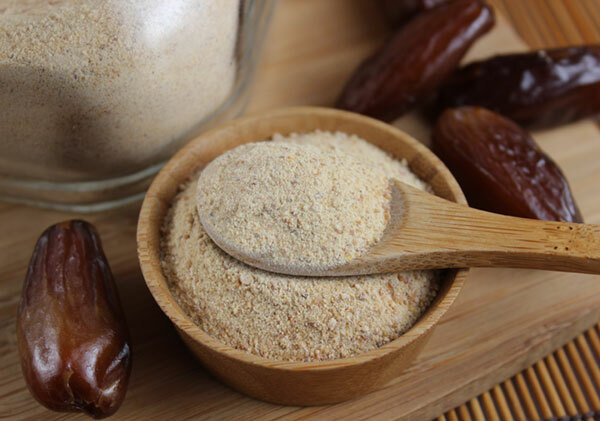 Compared to coconut sugar, date sugar is noticeably less sweet by taste. 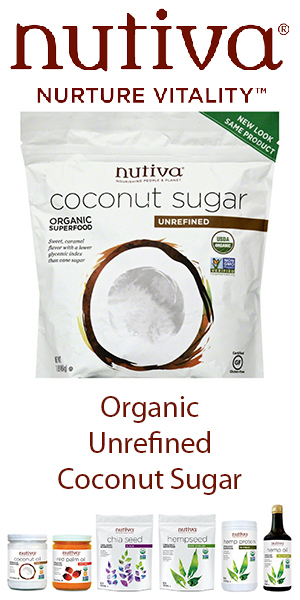 Commercial date sugars, according to package labeling, are about 1-2g less sugar per teaspoon than coconut sugar. 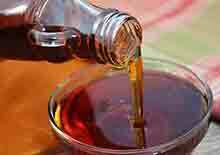 Date sugar is best used with other foods in recipes, blended into drinks or desserts. 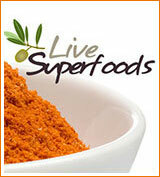 It can be used as a sweetener for hot beverages but doesn't completely dissolve because of the fiber content. For those on a low-sugar diet, it can be blended with no-calorie or low glycemic sweeteners, like monk fruit, stevia, yacon syrup or Lakanto. 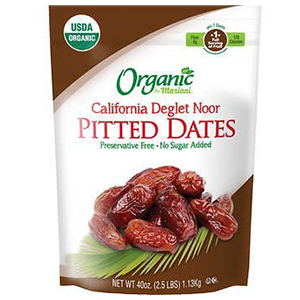 1) Type of Date - When have found that drier date varieties, particularly deglet noor dates, work best for making sugar. 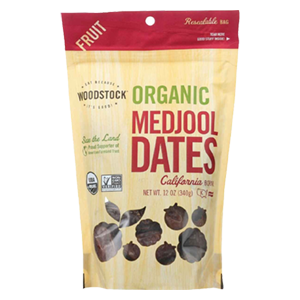 We noticed on the labels of most commercial date sugar brands, they use deglets as oppose to medjool dates. 2) Pulverize in Food Processor - It is best to pulverize pitted dates as opposed to drying them whole or chopping them by hand. You basically want to get as much surface area exposed as possible to increase drying time. 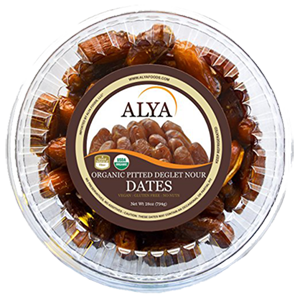 Spread out pulverized dates best you can (as they can be somewhat sticky) onto a dehydrator tray with a screen only so air can adequately circulate. 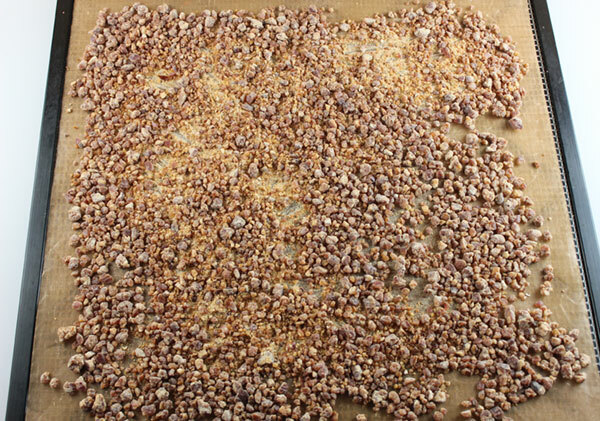 3) Grind and Dehydrate a Second Time - A second grinding and dehydration is essential if you want to make a fine crystallized date sugar rather than a sticky clumpy one. You don't need to add other flow ingredients like flours or corn starch like other homemade recipes. After this process you will notice the original pieces have puffed up a bit and also are a lighter color. 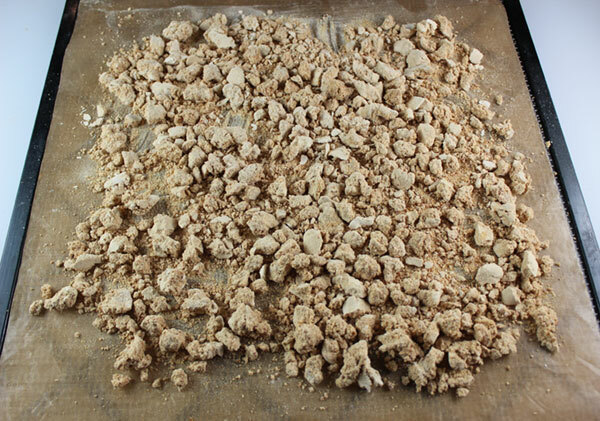 At this point, it is very easy to powder down as it has a freeze-dried like texture. 4) Use High-Speed Blender - The best way to grind a lot of dried date pieces is to use a high-speed blending device, like a Vitamix or Blendtec. 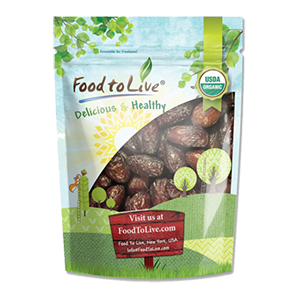 Dried pulverized dates get VERY hard and will sound like glass when grinding. This can potentially scratch it up your blender a bit. For this reason, we use an old Blendtec blender mug specifically for grinding or powdering REALLY hard materials like tonic roots or in this case rock hard date pieces. One of the best parts about this recipe is that you are only using one ingredient: dates. 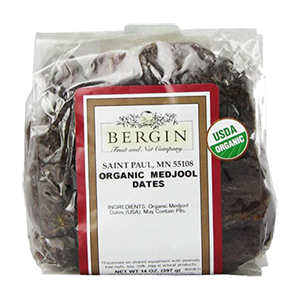 28 ounces - makes approximately 1/2 a quart or more of date sugar. If you'd like to make a "raw" date sugar, dehydration temp technically should not exceed 118 °F (48 °C). But remember, that the temperature dial on your dehydrator is how hot the air in the dehydrator will be. The actual temperature of the food you are dehydrating is about 20 °F cooler. When making this date sugar recipe we placed the temperature dial at the half way point (125 °F or 52 °C). If you're not particular, higher dehydration temperatures will tend to speed up dehydration time. Place in a food processor and pulverize into small pieces. We usually do this in two separate batches. Scatter out on 4 dehydrator trays with screens, if using an Excalibur dehydrator. Dehydrate for about 24 hours on med-high temperature setting. Let "cool" for several hours until rock hard. Grind up in a high-speed blender. 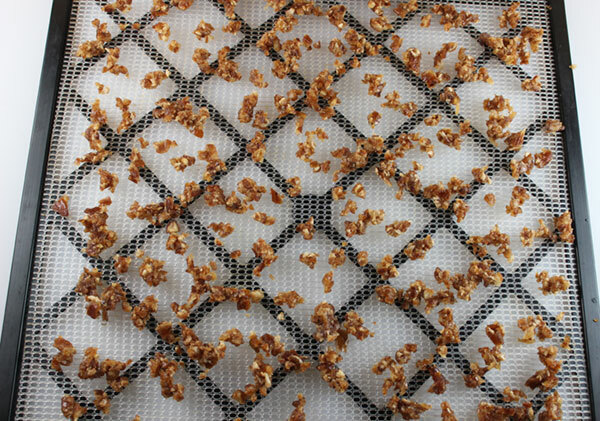 Place onto 2 dehydrator trays with a screens and non-stick sheets on top. Let sit for about 1 hour. 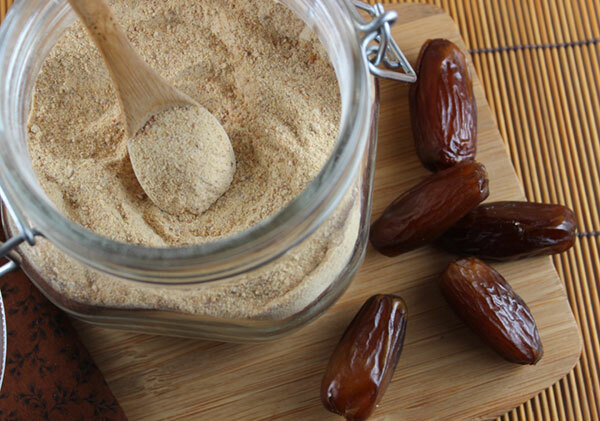 Powder down your dehydrated date pieces in a high-speed blender into a fine crystallized sweetener. 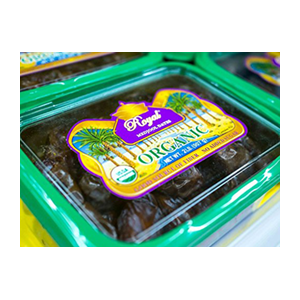 Store your homemade date sugar in an airtight container or glass jar with clamp-on lid. Because it is by nature very "hygroscopic", it is beneficial to place a desiccant packet (left over from a vitamin supplement bottle) in the jar just in case to eliminate any moisture absorption. 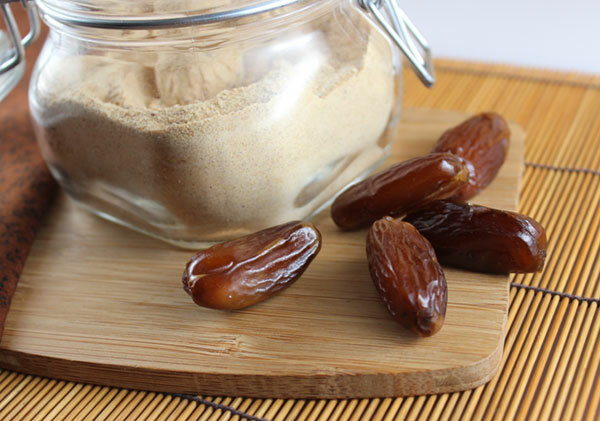 Homemade date sugar still retains the caramel-like flavor of the date and is perfect for use in recipes where a bulk sweetener is required. 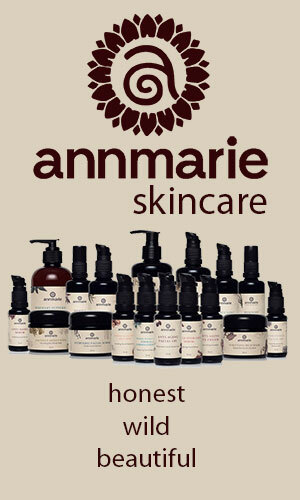 It is best used blended into drinks or incorporated with other ingredients. 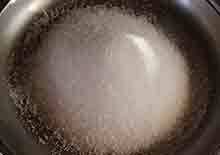 It doesn't dissolve in hot teas the same way as other granulated sugars because of the fiber content. 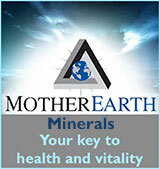 Can be used as a sugar substitute for other types of granulated sweeteners. 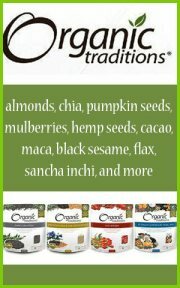 We use it when making raw dehydrated cookies recipes. 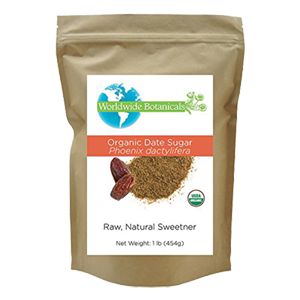 Again, date sugar can be a great alternative to refined cane sugar or other types of natural sweeteners. One of its main benefits is that is whole food based with fiber intact, which helps to slow the rate at which it is digested. 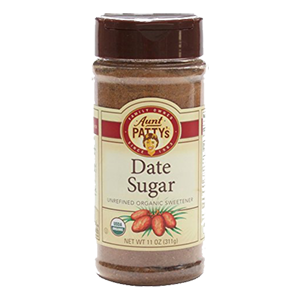 Try using date sugar in some of our recipes for: peanut butter cookies, gingerbread cookies and kombucha candy. Seek the advice of your healthcare provider or dietitian if you are diabetic, prone to parasitic infections or candida overgrowth and/or have a serious medical condition.